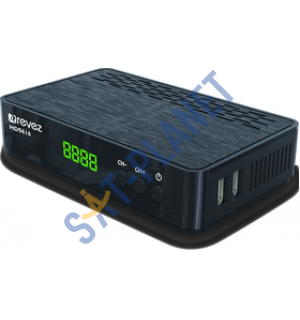 With this receiver you can enjoy popular FTA and Free HD channels without subscription! It is perfect for receiving the Free to Air channel package from the Astra 2 (28.2 East). English Channels include: BBC, ITV, Channel 4, E4, Sky News, BBC News, Euronews, Film 4 and many more! This digital satellite reciever provides a clear, disturbance free reception of digital TV and radio channels. You just need a normal television set and a satellite dish with an LNB. In addition, you get a fully functional USB port with recording, timeshifting and support MP3,MPEG, AVI, XVID, JPEG. A characteristic feature is the power efficiency and consumption in standby exceeding 0.5W.